* Weight: 7.2gr, Width: 5/16" (8mm). * Available in sizes 7, 8, 9, 10, 11, 12 (UK sizes N, P, R, T, V, X). 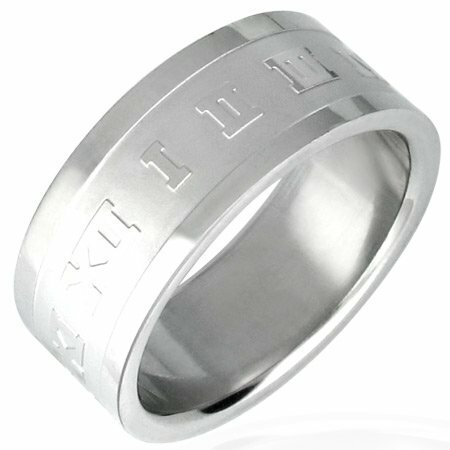 * Roman Numerals 1-12 are evenly engraved around the ring.